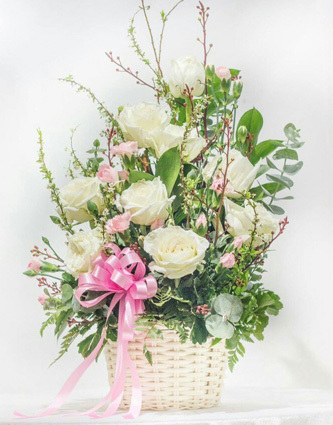 White roses arranged in basket. - This item is available for delivery in Bangkok, metropolitan areas(Nonthaburi, Pathumthani and Samut Prakan) and all major cities in Thailand. For remote areas, please ask us before placing order.